Babson College, Lecture to graduate students in a Corporate Entrepreneurship course. October 2011. Innovation Cubed Conference, Featured Speaker. December 8-10, 2010. Reverse Innovation. Keynote Speech at Moscow SECR Conference. October 15, 2010. Global Intrapreneurship. Lecture to Russian University Students (ITMO and SPb SU). October 2010. Babson College. Lecture to graduate students in a Corporate Entrepreneurship course. October 2010. MIT DataSpace. Member of the DataSpace proposal given to the NSF, February 2010. Intrapreneurship. Lecture to University Students in St. Petersburg, Russia. January 2010.
eScience Conference 2009. Scientific Lineage and Object-based Storage Systems (with Dan Hushon). December 2009. Harvard University IIC Colloquium. XAM, Digital Curation, and eScience. September 2009. EMC Innovation Lecture Series. The XAM Standard and Its Role in Digital Curation (with Professor Stuart Madnick). June 2009. The International Journal of Digital Curation. The eXtensible Access Method (XAM) Standard. December 2008. Master's Thesis, University of New Hampshire. Comparing the XAM API with File System Programming. December 2006. North Andover High School (Massachusetts) Athletic Hall of Fame. Member of Liberty Church Executive Board of Directors, 2005-2012. Selected as EMC Fellow, November 2012. Selected as EMC Distinguished Engineer, October 2008. Had to wear a suit. Information Playground Blog: Building Software for the Information Storage Industry. Featured in Innovation in a ReInvented World. "Innovate With Influence: Tales of a High-Tech Intrapreneur", published by Booklocker.com. 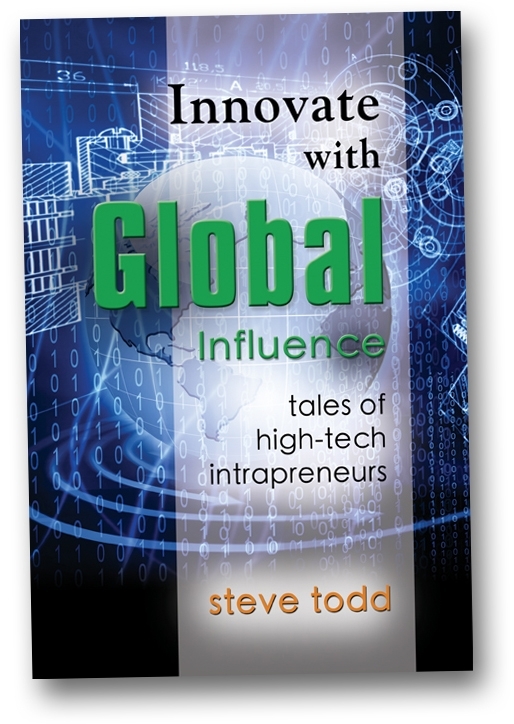 "Innovate With Global Influence: Tales of High-Tech Intrapreneurs", published by Booklocker.com.